While Apple continues to more fully integrate their applications within Final Cut Suite, the same goals have been brought to fruition by Adobe with their new Adobe Creative Suite 3-Production Premium. While both Adobe After Effects and Photoshop have long been a mainstay in any editors arsenal of editing tools whether they were on PCs or Macs, other Adobe applications were either not compatible for Mac use, were not available, or could not be integrated smoothly within Mac workflow. Not one to lose a large customer base, Adobe has wisely made the Production Premium available for both Windows and Mac users and is supported by a variety of tutorial books (I recommend the 'Classroom in a Book' series.) third party plug-ins, and a variety of other training resources. There are several combinations of Adobe applications offered in 4 different Suites. 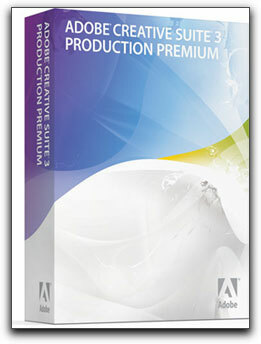 The Production Premium Suite comes with all one would really need to have a fully integrated post-production combination of applications; this includes Adobe After Effects CS3, Adobe Premiere Pro CS3, Photoshop CS 3 extended, Flash CS 3, Illustrator, Soundbooth, Encore CS3, Adobe Dynamic Link, Bridge CS 3, and Device Central. For those editing on a Windows platform you additionally get OnLocation CS 3 and Ultra CS 3. On Location CS 3 does come in the Mac edition and is run on Macs with Bootcamp. You can also install it in a Windows laptop so you can record directly to hard disk and save time in the capture process. Not being on a PC platform, I did not get to delve into either of these 2 applications. However, when installing, have a sandwich and drink with you and be prepared to spend some time. 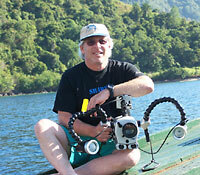 To install the entire production suite should take you about 1 1/2 hours from start to finish. The Production Suite's strength lies in its' more fully realized integration of components providing for easier round tripping and workflow. An overlooked addition to the Production Premium has been the utilization of Adobe Bridge which provides additional file support and data previews. Adobe Bridge can be a huge timesaver in ways I haven't even discovered yet. 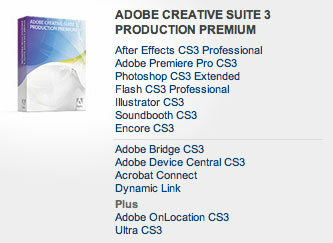 Never the less, the big shots of the Production Premium Suite remain the latest CS-3 versions of Photoshop and After Effects. Photoshop comes with a newly designed interface. The old toolbar can now be set up as one row, either vertical or horizontal and the various panels can now be toggled as icons providing additional space on your monitor when real estate is needed. Another, previously new feature is the addition of Smart Filters which now allow you to convert any layer to a smart filter layer which then allows the addition of any number of filters to the image. This is very similar to Adobe After Effects where the addition of various filters is listed under and within the layer it is applied to. 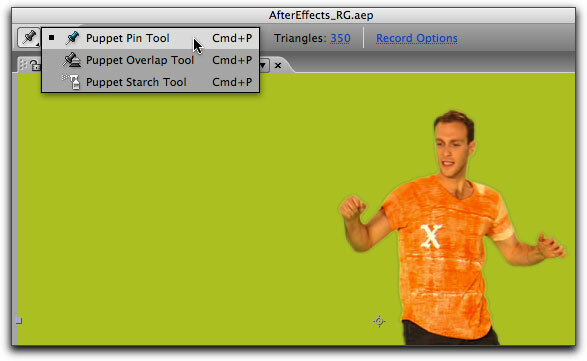 Like After Effects, you can then toggle these effects on and off for preview and comparison purposes. A new feature, which will be much appreciated, is the new quick selection tool that allows you to quickly and easily draw a basic selection around the image element. While some tweaking to the image is still necessary, there is not as much to do as with previous versions of Photoshop. In addition, Photoshop now works more effectively with After Effects preserving layer styles on import. These can be animated and modified, allowing for the addition of shading and texture to any layer. In an effort to be concise, Adobe After Effects also comes with several new features and a tighter integration with the other applications found within the Production Suite. With After Effects CS 3 there are now a few hundred completely customizable animation presets available to give any project a quick jump-start. A multitude of templates are included as well to add to the other new features like the new Shape Layers and Puppet Tool. 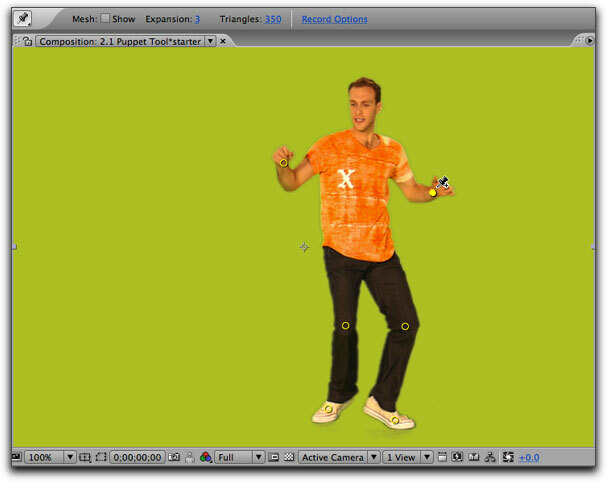 The new Puppet tool in After Effects allows you to add fairly natural motion to vector graphics and raster images. 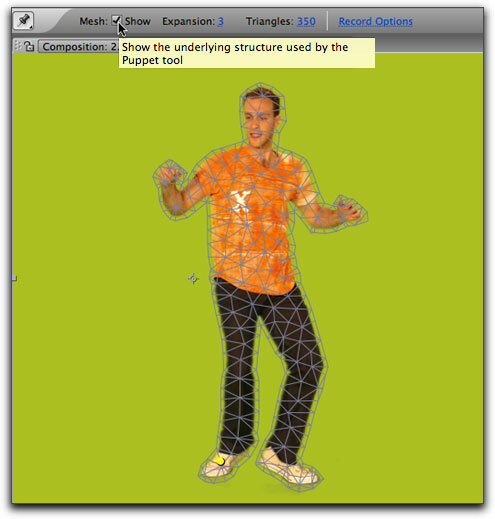 A second tool, the Puppet Sketch tool permits you to record animation in real time. This one takes a bit of practice but it was easy enough to catch on. Applying the Puppet Pin Tool. Showing the mesh allowing animation. New features also include per-character 3D text animation and integration with Adobe Flash CS3. You can now export layered vector animations to Flash, convert AE timeline markers to cue points in Flash and batch render FLV files in After Effects. From Adobe Encore CS 3 you have easy output to Flash SWF. You can put your entire DVD on the web very easily and quickly - without opening Flash to do it. If you wish to publish to the web, one click, creates SWF versions of your DVD and Blu-ray Disc projects using Encore CS3. This enables you to produce content compatible with Adobe Flash® Player software, complete with DVD interactivity and menus, without opening another application. Encore also has Blu-ray output for anyone doing HD, and has really tight Photoshop and After Effects integration. It is as easy as it looks. I did not go into, with any depth, Adobe Soundbooth, Encore or even Premier Pro, however, that Adobe has succeeded in making their applications more compatible with each other as well as more user friendly cannot be denied. What is now available for both PC and Mac users is a completely unified workflow from start to exportation at the finish line.